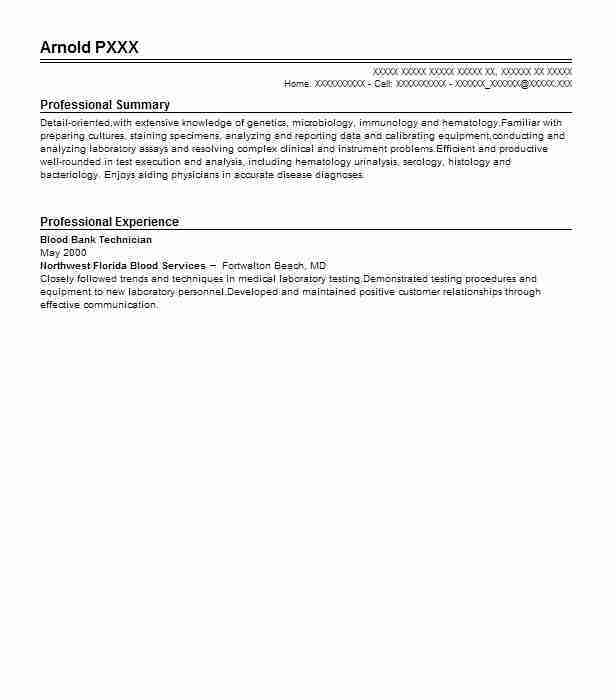 Thorough Blood Bank Technician who understands the importance of maintaining a clean facility and allaying donors’ hesitations about the process. Adept at explaining the process of donating blood to new donors maintaining accurate paperwork on each donor and encouraging people to donate for the first time. Specializes in mobile facilities and clinics. Responsible for keeping accurate records of each donor in digital and hard copy format. Responsible for verifying and responding to requests for donated blood. Assisted in developing the policies for working with donors that are still used to this day. Assisted in performing regular cleaning and equipment sterilization procedures throughout the day. Part of a team assigned to taking the mobile blood bank truck to donation sites around the area. Assisted in developing marketing materials that were handed out in the region. 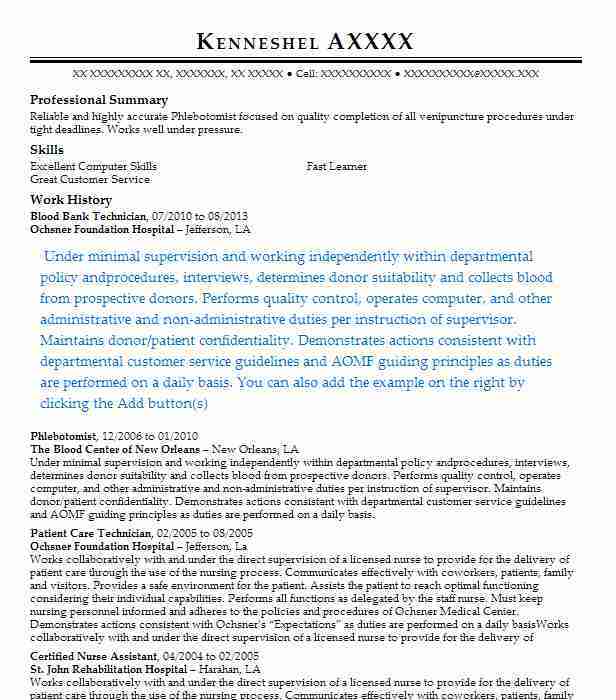 Responsible for keeping accurate donor records. Assisted in performing procedures on first-time donors. Assisted in keeping the facility clean and sterile. 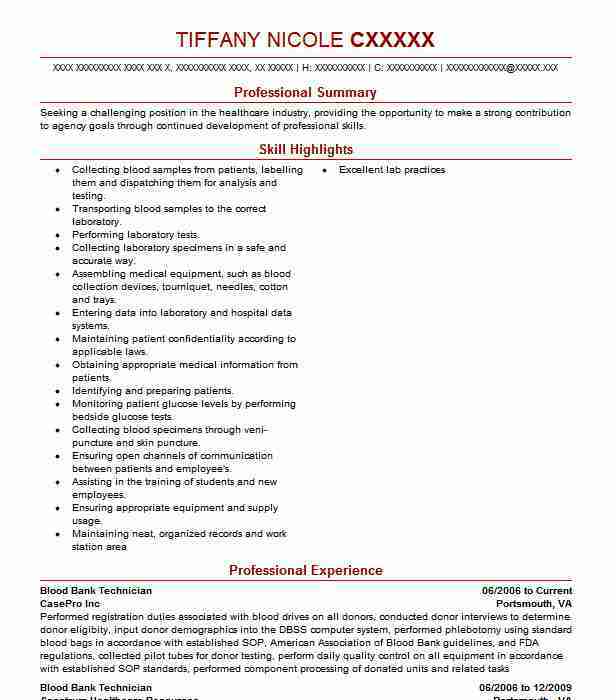 There are plenty of opportunities to land a Blood Bank Technician job position, but it won’t just be handed to you. 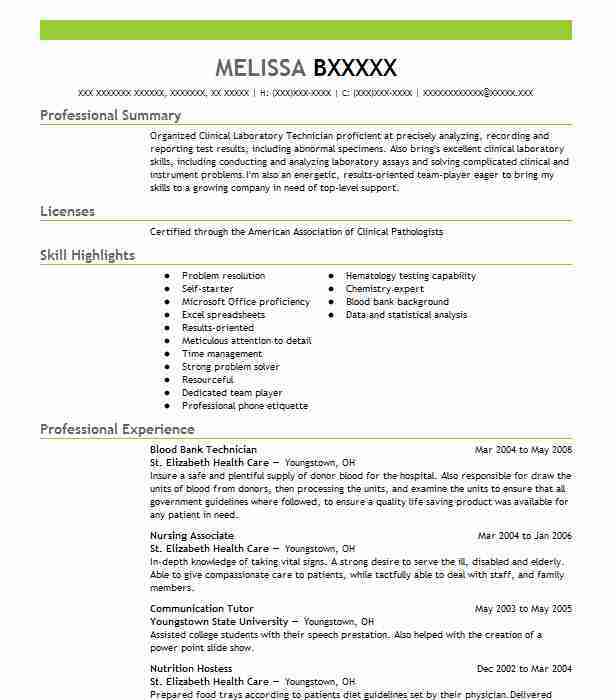 Crafting a Blood Bank Technician resume that catches the attention of hiring managers is paramount to getting the job, and LiveCareer is here to help you stand out from the competition.